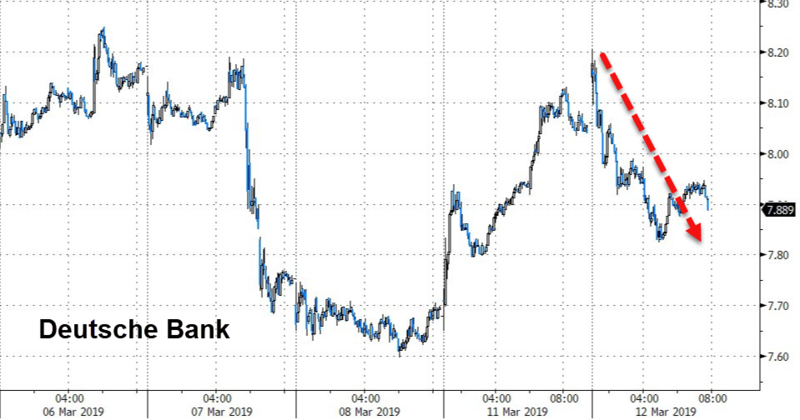 Deutsche Bank shares are down this morning after a critical supervisory-board member has signaled strong internal resistance to the planned rescue (sorry, merger) with Commerzbank. Bloomberg reports that Jan Duscheck, an official with the Ver.di union and a key labor representative on Deutsche Bank’s supervisory board, opposes the merger, saying it would threaten thousands of jobs and fail to shore up Germany’s finance sector. The stance is hardening as talks behind the scenes gradually advance. “We reject a merger,” Duscheck -- who has served on Deutsche Bank’s supervisory board since 2016 -- said in an emailed statement. The deal would make the combined bank even more susceptible to a hostile takeover from abroad and “would not create a national champion,” he said, taking a rare public stand. Employee representatives are powerful forces in German companies, generally making up half the seats on supervisory boards, which hire and fire senior executives and sign off on major strategic decisions. “At least 10,000 further jobs would be directly threatened,” Duscheck said. It is clear that the hurdles for completion of this deal are high and getting higher. So what happens next? 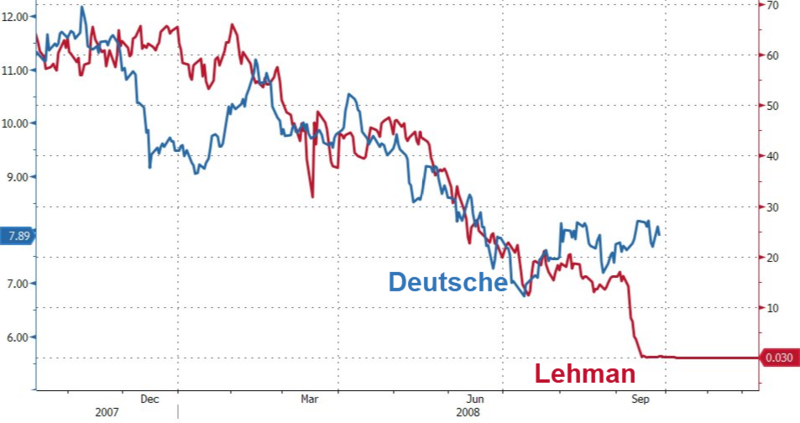 Lehman, here we come?